Bouncing into history: 6 amazing trampoline world records. 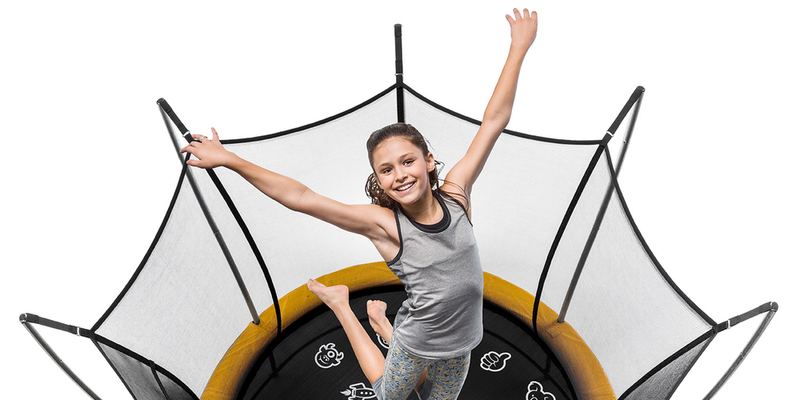 Bouncing around on the trampoline is fun for kids and adults alike, but for some people, the simple act of bouncing on a trampoline takes on a very serious spin. So serious, in fact, that the humble trampoline is central to a number of world records! As trampoline lovers ourselves, we’re always excited to see people getting out and using their trampolines for fun and games – and what could be more awesome than getting a Guinness World Record? Today, we’re going to be looking at some of the most extreme, fun and wacky world records that have ever been set using a trampoline. 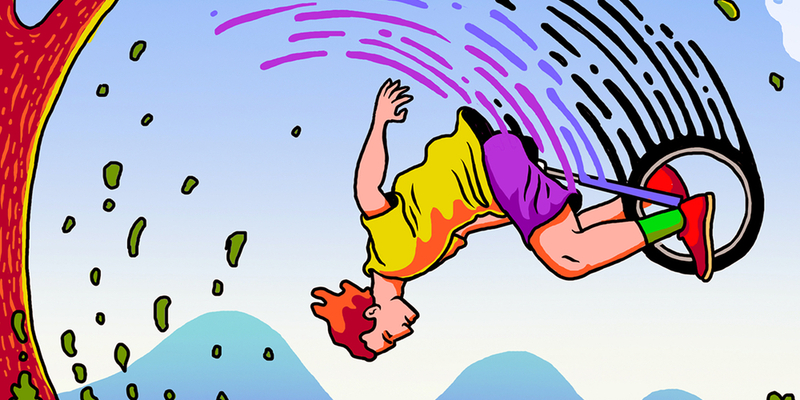 If you’re struggling to land your first somersault, spare a thought for the poor spinning head of Mr Brian Hudson from the United Kingdom who, in 2003, set the world record for the most consecutive somersaults – a casual 3,333, to be precise. International trampoline judges verified Mr Hudson's attempt, which is yet to be bested. Although it might not be the best idea to try to take him on! But Cameron Fraser from Canada doesn’t think like most of us - he thought that backflips on a unicycle on a trampoline were exactly how he should make his illustrious bid for the hallowed halls of Guinness World Record esteem. Before you go thinking that he’s done some incredible number of backflips on a trampoline, think again! He did exactly two. Considering that unicycling is pretty difficult as it is and backflips, in general, aren't the easist thing to do – let alone backflips on a unicycle – we should applaud his skills. We all know that the fastest man on land is (or was at the time of this article) Usain Bolt. What about the fastest man on a trampoline? While we’re guessing this probably isn’t something that you even knew existed, thanks to the Guinness World Records, it is! A chap by the name of Steve Jones pulled out all the stops when he bounded to glory with a smashing time of 24.11 seconds in 2009. He's yet to be beaten; though, if Usain Bolt is anything to go by, the only way to go is forwards. Trampolines are for bouncing, right? When you were bouncing around on a trampoline as a kid, you’d always try to go as high as you could. Well, a team of kids from the United States decided to take the whole "bounce as high as you can" thing a step further, with a world-record-smashing 6.73m high bounce. In case you’re wondering how high 6.73m is, comparatively, it’s about how tall the roof is on a three-storey house! Maybe stick to backyard trampolining for now, and leave the world record attempts to the pros. Who doesn’t love shooting a few hoops? Many people can say that they’ve landed at least one three-pointer in their lifetime, but how many people can say that they’ve leapt and dunked from 10 m away? Well, 10.05 m, to be precise... That’s exactly what Jordan Ramos laid down in 2015, with his record-breaking trampoline-aided slam dunk. Full disclosure, we didn’t really understand what this one was all about... Did the tubes break when Asrita Furman from New York jumped on the trampoline? Did he break the tubes by hand while he was jumping? One thing that we did find out, was that this Ashrita Furman fellow really likes breaking things – including world records, strangely enough! In a very Inception-style moment, Ashrita once held the record for holding the most records at once in 2011! Regardless, he jumped on a trampoline and broke 30 tubes with single trampoline jump. Our advice would definitely be not to try this one at home. Want a trampoline to test your high flying skills? Your leaps on a Vuly Play trampoline are some of the safest bounces you’re ever likely to land. Check out our range online to see the variety of trampoline sizes and styles.